In between chasing Leprechauns and cleaning up their little green footprints today I found this picture on the website for the Washington, DC Temple. Here's a peek inside the Washington, DC Temple...through these beautiful temple doors. The temple is truly a "golden" experience and its doors are open to every person who diligently seeks the blessings of the temple. 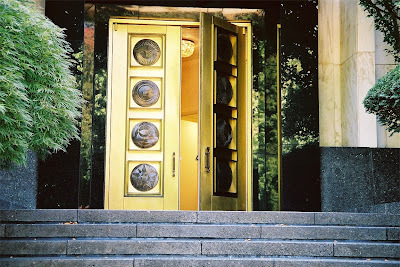 lovely doors-never been to that temple but have always admired it's great beauty.